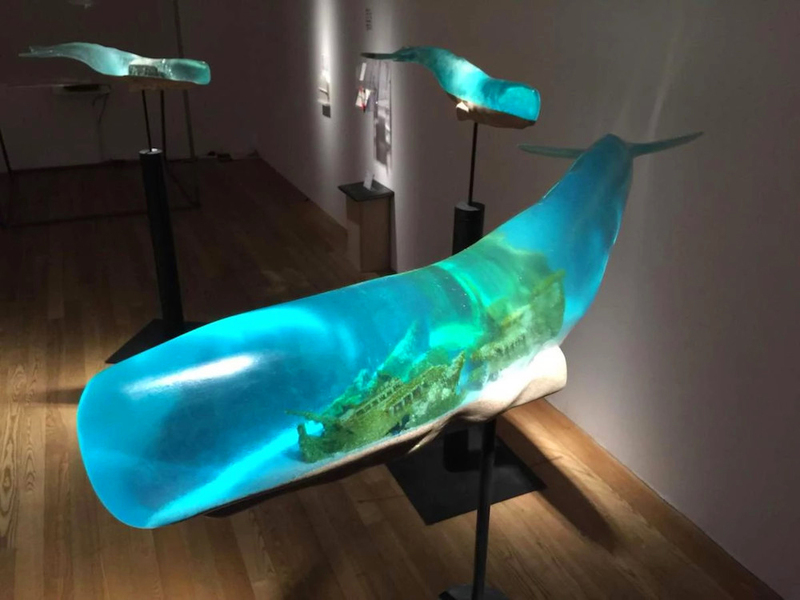 Japanese artist Isana Yamada‘ s project Samsara is composed of six translucent whales mounted on thin pedestals that give each of the sculptures an illusion of movement. 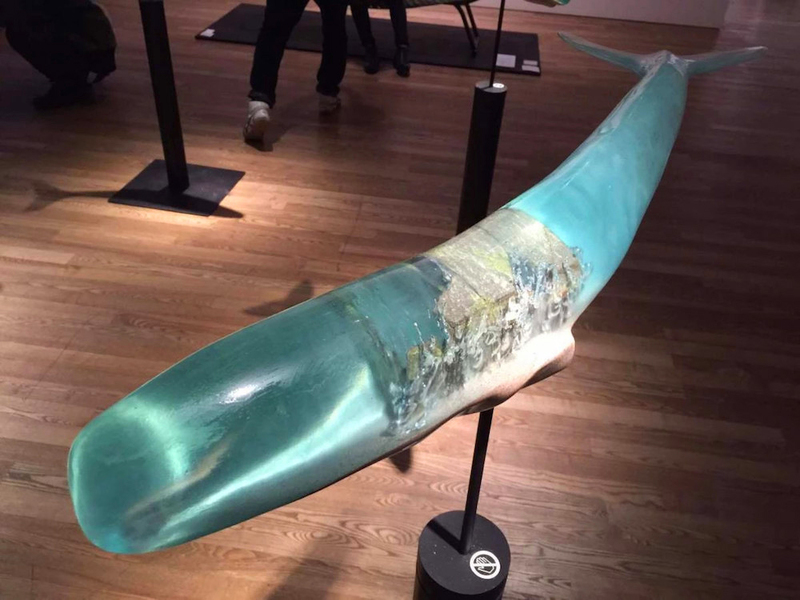 The whales, illuminated from within, provide a window to strange worlds locked inside their resin-coated bodies: churning submarine volcanoes, fluffy white clouds, and even polar bear skeletons that float within. The project, staged at Tokyo University of the Arts, references the circle of existence found in Buddhist traditions with each whale displaying a separate scene. The whale that represents the human dimension contains a sunken sailboat, imagery that symbolizes a difficult voyage or plight.